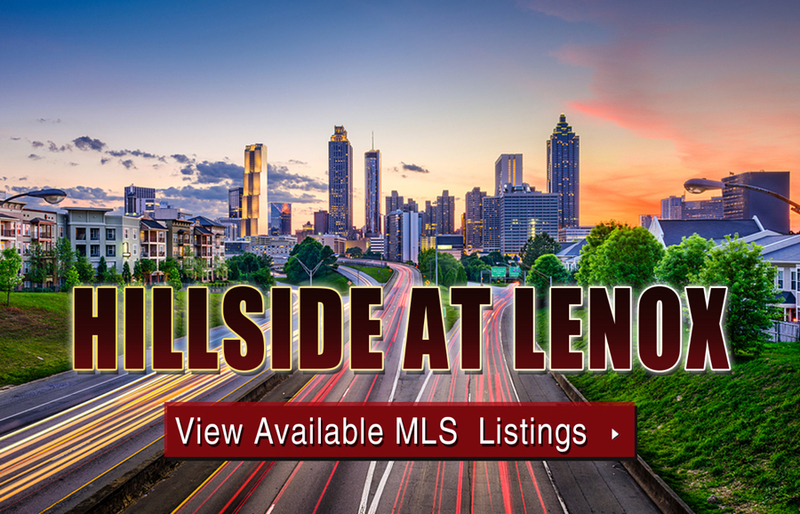 Hillside at Lenox is a beautiful, 4-story mid-rise conveniently located along Lenox Road in the heart of Atlanta’s highly sought-after Buckhead neighborhood. Originally built back in 2002, Hillside at Lenox features 54 individual condo residences, and floor plans that offer anywhere between one and two bedrooms, and between roughly 900 and 2,700 square feet of total living space. Common interior finishes inside condos for sale at Hillside at Lenox include gorgeous hardwood flooring, granite countertops in the kitchen, premium kitchen appliances, fireplaces in the living rooms, spacious bedrooms with ample closet space, and nicely appointed crown molding throughout each unit. For maximum convenience, Hillside at Lenox is also just minutes from several major highways, including State Route 400, and it’s also well within walking distance to the Bulkhead Lenox-MARTA Station as well. For more information about Hillside at Lenox condos for sale in Atlanta, call The Zac Team at (404) 564-7272 to schedule a private tour of the building and any of its available units at your earliest convenience. Listed below are recently closed sales at Hillside at Lenox. Whether you’re thinking about buying or selling a condo at Hillside at Lenox, checking to see what other comparable properties have sold for in recent weeks and months provides helpful insight into current market conditions within the community. For more information about Hillside at Lenox condos for sale or for a complete list of recent condos sold in the complex, contact The Zac Team today! Can’t find what you’re looking for in Atlanta’s Hillside at Lenox condo development? Start browsing other Atlanta real estate for sale or give the Zac Team a call at 404.564.7272 for help with your new home or condo search today!